It's Kakashi here from Kakashi's Corner and Today I’m giving you some interesting mechanics on the legendary pilot Jack Cooper. The first thing I have noticed is that his skill type indicator is a bit misleading as it is indicated as a buff but the invincibility and guaranteed crit only triggers on hardpoint capture. This is similar to a hardpoint capture effect which triggers every time a pilot captures a hardpoint. As long as the pilot stays alive the effect can be triggered multiple times per single use unlike a rally point effect that can only trigger once when a the unit reaches its rally point. The other thing I have noticed about Jack is that his base attack is quite high with AOE damage and a fast attack speed with a chance to crit. The AOE damage is similar to that of Sim Ninja’s except that Jack can alternate between ranged and melee attacks which gives him a bit of an advantage that Sim Ninja does not have. On the other hand Sim Ninja is spawned using a drop pod that can be deployed anywhere on the map which still gives him a high level of utility and uniqueness that sets him apart from Jack Cooper. His energy cost is quite high at 4 energy per use but I must say it is a lot of good bang for your energy buck. 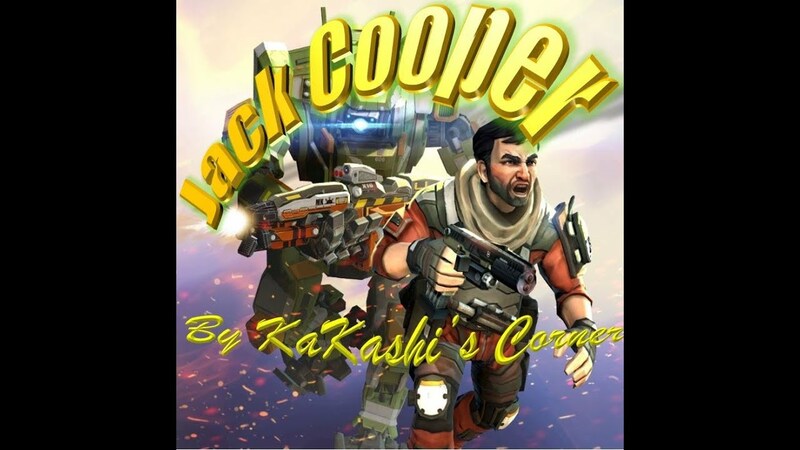 Jack Cooper has a high health pool which allows him to survive multiple battles and capture hard points and trigger his skill effect multiple time per single use which gives you high output for the energy spent. The other impressive hidden feature I have discovered of Jack is that when he turns black to indicate his skill activation he appears to ignore the holo grenadiers decoy and goes straight for the grenadier or other units. Please let me know if there is anything I left out in the comment section and as always – Have FUN!